First off, it's always nice when this blog is recognized as one of the best in the running genre. I certainly don't consider it one of the best but the recognition is nice. I am amazed that nine years have passed since I launched this site. I don't post as much as I used to, but I like to think the content is still fairly high-quality and helpful to others. My last post seems to have gotten a ton of traction. Some folks accused me of posting "click-bait" on that one but it was all genuine! Hmmm, what other top-10 lists can I think of (maybe the top-10 most annoying hashtags)? 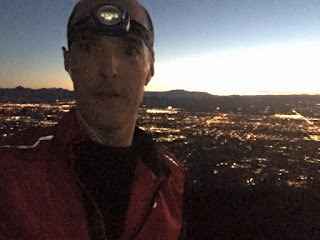 Speaking of my last post.... Just to show you I'm not totally anti-selfie, here's a selfie I took on top of Camelback Mountain in Scottsdale, Arizona last week (but not with a selfie-stick!). GZ and I were both in the area on business and met up in the morning and made our way up the very rocky, technical mountain (all before breakfast!). There were a few stretches that required scrambling and damn did I love it! Well, it seems the lottery gods were good to me this year. I got drawn in not only the Western States lotto but also the Leadville 100 lotto. So, it'll be two hundreds this summer. Unlike other folks who seem to click off the Western States/Leadville double with no problem at all, this will be my biggest challenge as a runner yet. The two races are separated by eight weeks. If they were both flat, then no big worries. But one has 41,000 feel of combined elevation change (plus high heat) and the other has about 36K and is high-altitude all the way. Now in my 13th year as a "long-distance" runner, I am very proud of my longevity and to have the shot at Western States and Leadville in the same summer. In looking back on my running history, the closet thing to what I'm facing this summer came in 2009. 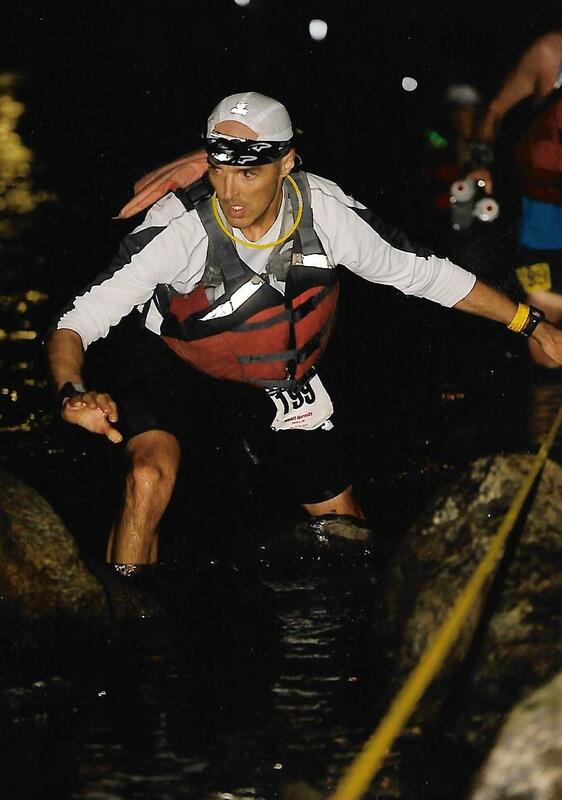 I ran in the Mohican 100 (race report) in June and then three months later lined up for the North Coast 24-Hour, which doubled as the 24-hour national championship (race report), clocking 131 miles in pursuit of a position on the US team (came up short). I never really allowed myself to recover between the two races. I trained hard going into Mohican, cut back for maybe two weeks, and then got right back into logging solid mileage for North Coast. After North Coast, I was physically broken. I had a sore and swollen knee, a battered arch, and various aches and pains that plagued me for months. 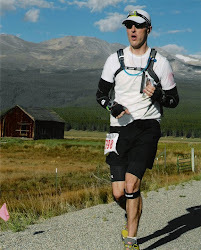 I am convinced that these injuries then set me up for the worst injury I've ever sustained as a runner--a severe case of plantar fasciitis, which came in July of 2010 and required significant treatment after I managed to somehow, on a bad wheel, finish my first Leadville that year. I say all of that not to rehash the past but to learn from it. I will be seven years older when I line up at Squaw Valley Ski Resort this June. Reflecting on 2009, I think it was a mistake to continue logging big weeks between the two races even as it got me two very solid results. Also, I now recognize the huge base I've built over the past several years--it means something. So, with that, I have devised a strategy for this summer's Western States/Leadville double. First off, all of the heavy training will be done by the time I go into my Western States taper, which will start two to three weeks prior to the race. The training I put in between now and then will be for preparing myself for both races. My mileage now, in the early months (January and February), is/will continue to be about 55-65 per week, and I'm hitting the weights on a regular basis in order to build the strength I will very much need by the time the summer rolls around. In March, I will be up to 70 miles a week and will begin hitting the hill repeats and track workouts. My turnover right now isn't too good as I'm quite certain I'm not yet 100% post-Javelina. 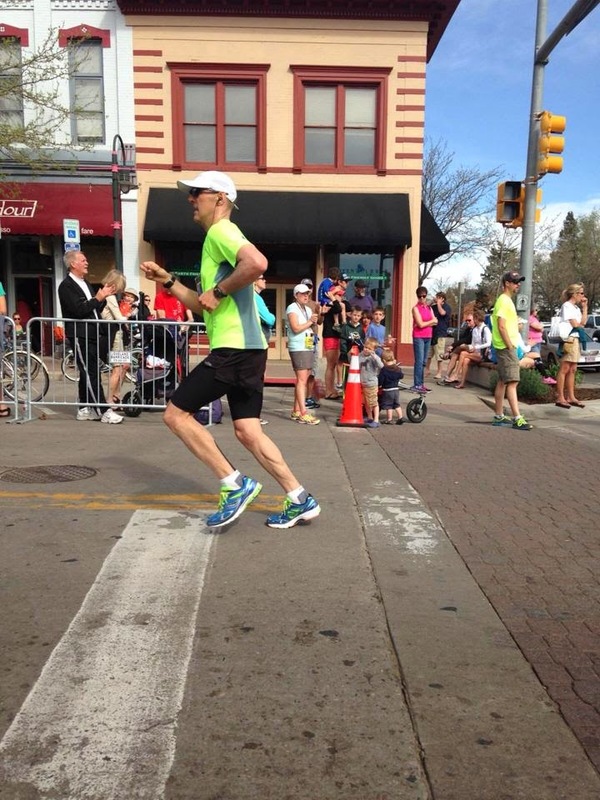 April will be 80+ miles a week, with a yet-to-be-determined 50K race as a tune-up (Rattler 50K in Colorado Springs?). In May, as time allows, I will be gunning for a few weeks of 90-100 miles, getting to the trails on the weekends for some ups and downs and as much heat as I can get. Memorial Day weekend will mark a huge training block. I will not be able to do the Western States training camp but that's OK--we have plenty of gnarly terrain here in Colorado, like the greatest place on earth to trash the quads (Pikes Peak). Bottom line: I'll do what I can (as always). What will be most critical is to feel some positive adaptation taking place as my training progresses and to then have a quality taper--that was certainly the case going into Javelina. Recovery will obviously be critical, so there will be some cut-back weeks to help keep me healthy and responding. I will then give Western States my all, going for the silver buckle. I want to be running in those final 25 miles, when many are reduced to walking. In the eight weeks between Western States and Leadville, rest and recovery will be the name of the game. Mileage will be very limited, as I'm able, and a diet conducive to recovery will be essential (lots of protein). I plan to get up to the mountains for some high-altitude hiking but will not be pushing the mileage at all. This summer, I really want to bag Mounts Elbert and Massive, Loveland Pass and perhaps even the DECALIBRON loop. It really comes down to finding the time. Time is very elusive. It's easy to be "planful" now. As the saying goes, everyone has a plan until they get punched in the mouth. Whereas the goal going into Western States is to be at 100%, I will be very happy if I can go into Leadville at 80-90%. I am being realistic in saying that I will not be fully recovered from Western States by the time Leadville rolls around--not at age 43. My approach to Leadville will be to NOT look at my watch or splits at all but to instead run well within myself and finish ideally in under 25 hours. There will be no pressure at Leadville. If I need all 30 hours, then that's OK.
As I said to my wife this morning, I think all of this weight lifting will pay off when the summer comes. I feel my body getting stronger and firmer. My recovery is better. I can actually now bench press my body weight. My legs are stronger. Everything is getting stronger. In 100s, you need every muscle from head to toe. Here's to a great 2016! Please chime in with your plans! 9) Hipsters as ultrarunners, or maybe ultrarunners as hipsters. Please become original. Three-quarters of the music you listen to you don't even like. Admit it. 8) Selfie-sticks in ultras. Look, I have nothing against a selfie-stick, even though I'd never buy one. The problem is with selfie-sticks in ultras. They present runner safety issues and have no place on an ultra course or a race course of any kind. 7) Athlete ambassadors. It's one thing if you're an "elite" hawking products you use and like. Otherwise, please do not act like a sponsored athlete. I was once an athlete ambassador for Hammer Nutrition and I felt cool...for about five minutes. I even wore my douchey red Hammer shirt at a few races. 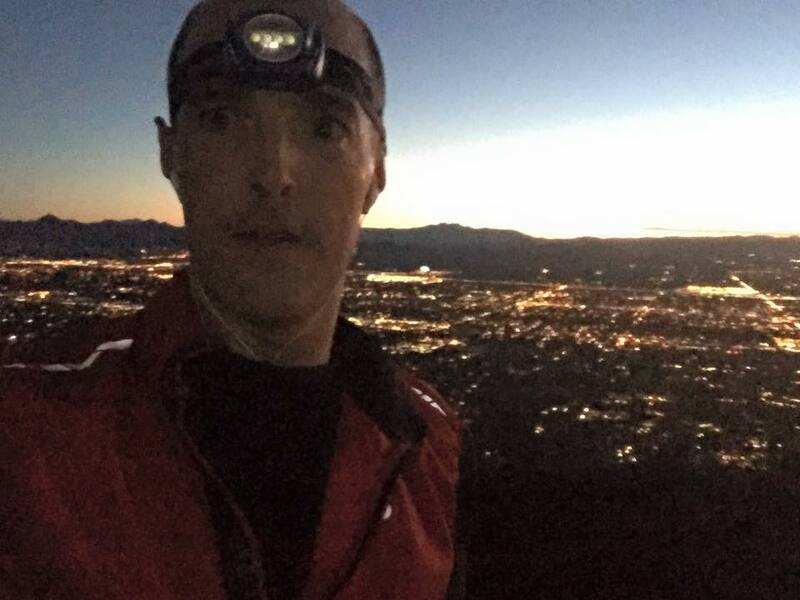 Then one day I woke up, realized I was just an average runner, and asked myself, "why am I doing this crap for Hammer when all I get is a token discount and I could just as easily buy from whoever I damn please?" 6) The ridiculous argument that ultrarunning is anything other than very grassroots and a weekend/recreational gig for most of us. That is to say, it is not a "sport." Ultrarunning is for most of us a lifestyle and, to some extent, a very intense hobby. 4) Public sniping and internet mobs. Between "Gordygate," "Lancegate" and the newest controversy to rock the ultrarunning world to its core, "Dale's Picks," the sniping has gotten way out of control. Rather than take to Facebook or a listserv to start an internet mob, how about write a private letter or e-mail to the party that has offended you? Better yet, call them if you have their number. And, please, no nasty websites about people whose views you don't like--yes, this is happening. 3) Bacon. It's horrible for you. I hate bacon. 2) Growth and too many damned people. Most of the time, growth is good, especially when it involves my 401K. But ultra has reached a point where growth is far-outstripping demand. We need for things to slow down a bit so everyone can catch their collective breath. This includes races that have been forced into lotteries because of crushing demand. 1) Whining. Enjoy the gift instead of whining about your ill-fitting race tee-shirt, the lack of vegan or gluten-free options at aid stations, the fact that you didn't get into the lottery, etc. (Seriously, I have never known a single poor person who was allergic to gluten. Everyone I know who's allergic to gluten lives in Boulder and shops at Whole Foods). Quit whining and just run. Bonus: The backlash against carbs. Not all carbs are bad. Chime in with any other trends you'd like to see go away in 2016!